If you're looking for new carpets for your home, you may be considering investing in wool carpeting. Before you do, make sure you understand the pros and cons of this fiber. 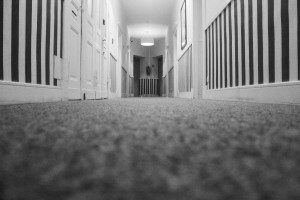 Is Wool Carpet the Right Investment for You? Wool carpet is one of the most popular carpet types and for good reason. There are plenty of advantages associated with this fiber type so it makes sense that many homeowners looking for a new carpet will consider this their top choice. When investing in new flooring, however, you will need to do a bit of research before making your final choice. This is why Fairbanks Cleanpro has put together this post to help you decide if wool carpet is the right fit for your home. As mentioned above, wool carpet is a popular option with homeowners looking for a new flooring for their home. There are many reasons for this, including how resistant the carpet is. For more on this, check out the information below. Although carpet is known to be comfortable and cozy, it can also be a bit difficult to keep it spotless. With wool carpets, however, keeping dirt stains hidden is much easier than with other carpet fibers. Wool tends to be an opaque fiber, making it easier for this carpet type to keep dirt hidden away even when it is present in your carpet. This means that not only will your carpet look cleaner, this can help keep your entire home looking more tidy and well kept. As you may already know, wool comes from the fleece of lambs, making it a more natural fiber than most other carpet types. Unlike other carpets made of synthetic fibers, wool carpets are known to be extra soft and super comfortable. If you have small children or if you're fond of resting on your living room floor, wool carpeting will be the most comfortable option for you. Wool carpets are made of yarn, which is known to be quite elastic and resilient. This fiber type is of the highest quality, allowing it to withstand heave foot traffic and wear much better than other synthetic fibers. Even if there is quite a bit of foot traffic in your home, you can trust that your wool carpet will be able to hold onto its nice appearance for much longer, making your investment worth the price. No matter what type of carpet you choose to install in your home, keep it at its best with professional carpet cleanings in College. For the best carpet cleaning service around, contact Fairbanks Cleanpro at (907) 388- 7768. Just like wool carpets have their pros, there are also some cons to consider before deciding this is the carpet for you. Check out some of the downsides to wool carpets below. Although wool carpets are known to hide soil well, it's not the same story when it comes to other stains. If you have small children in the home or pets that are known to cause stains, this may not be the best investment for now. Not only can spills cause unsightly marks on your wool carpeting, many cleaning solutions can also damage the natural fibers. It's also worth mentioning that exposure to sunlight can cause your wool carpet to fade. A carpet that is made of natural fibers that are resilient and strong comes at a price. Wool carpets are known to be a bit pricey, but this is due to their high quality. They may not be as affordable as other carpets made of synthetic fibers, but if you're ready to make a serious investment, this isn't such a huge con. Finally, wool carpets are known to fuzz or shed. If you're not sure what this means, it's basically what it sounds like. When wool carpets are brand new they can develop a layer of fuzz on top caused by the shedding that occurs as a result of use. This won't necessarily happen forever, but while it's occurring it can be quite annoying. If you vacuum the carpet often this can reduce the amount of fuzz that is left on the surface. Once the carpet is no longer new or in about a couple months, the shedding should reduce significantly. Whatever type of carpet you decide on, keep it at its best with professional carpet cleanings in College. Contact the carpet experts at Fairbanks Cleanpro at (907) 388- 7768 to schedule your next carpet cleaning. Be sure to ask about their upholstery cleaning services as well!